Text-based games for the iPod, known generally as iStories, are nothing new. Using the basic HTML support found on device’s Notes feature, some people have been putting together text-based adventures for a couple years now. Heck, even I sketched out the beginning of a story a while back, but never completed the project. In its most basic form, the idea is to load a series of inter-connected text files into the Notes folder. A reader then selects the start file and upon finishing that section, is presented with a dilemma, forced to choose a course of action. The choice determines what happens next in the story. Through a series of choices, the reader eventually ends up at one of several possible endings. The iStories concept is very much like the Choose Your Own Adventure series of children’s books. So it shouldn’t be a surprise that the CYOA franchise is getting in on the action. The publisher, Chooseco, relaunched the brand in 2005, which had laid dormant since 1998. 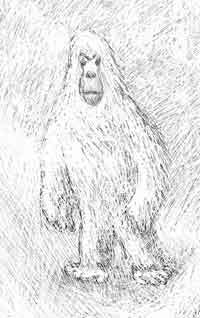 The CYOA online store is offering a free download of an iPod Choose Your Own Adventure story, The Abominable Snowman, based on the first title of the relaunched series. After playing around with the story for a while, I gotta say that it’s a pretty sophisticated release. This game isn’t just a bunch of text files. It takes advantage of the “museum mode” found on recent generation iPods to integrate images and sound into the storytelling. The Abominable Snowman comes as a 20ish MB download that includes an installer program. When run, the installer copies all the text files to an iPod. It then opens iTunes and adds the 137 associated mp3 files to the iTunes library and finishes by syncing the library with the iPod. The way the story works once copied to the iPod is rather ingenious. While technically, one can simply read the story, the text can also be read to you by the author, R.A. Montgomery, who is also the creator of the series. 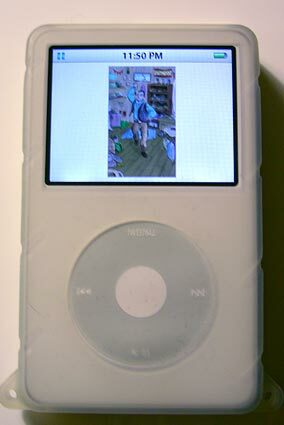 At key moments in the plot, the narration stops and the reader is presented with a “click for image” link, which loads a silent mp3 that has album art attached, presenting a visual to accompany the story. Of course, the Choose Your Own Adventure series is aimed at children. This is by no means high literary art. But it does push the limit of what an iPod can do and that’s pretty cool. The Abominable Snowman is free for “beta testers” through Jan. 25. Compatible with 3rd-generation iPods and later. Use of images requires iPods that support album art. An image from Abominable Snowman on iPod.